Is Invisibobble better then classical hair tie? I finally laid my hands on an innovative hair tie, i.e. Invisibobble. I mentioned before that I will make a test of it soon. On yesterday sale I bought my tri-pack of Invisibobble and I spent an entire day on tests. Is it worth investing money in it? Does Invisibobble work out? How does it look against classical hair tie? Read below. Invisibobble resemblance of phone cord (landline, younger might not remember that). Flexible, made out of durable material, waterproof hair tie has many qualities, which doesn’t have classical hair tie. 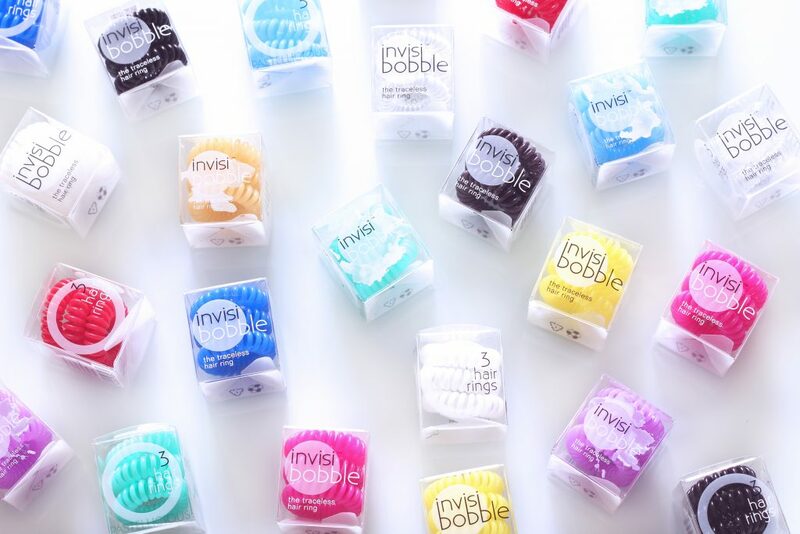 Let me present to you five reasons why Invisibobble is better than classical scrunchy. Invisibobble is much more flexible, so it fits hair much better. Thanks to spring shape it holds hair very well and doesn’t hold them too tight. It doesn’t have metal bond, that can pull out hair. It is a no dent hair tie. Thanks to smooth structure it is easy in pulling off, without pulling the hair out. It may seem that Invisibobble is an ideal solution, which for all time will take the place of classical hair tie. Unfortunately, there are moments in which standard solutions are better. Most of all, Invisibobble is a hair tie only for owners of thick hair – on fine hair it will slip. Another situation in which better is classical hair tie are sports – unfortunately Invisibobble won’t work in case of running, fitness or at gym, because it slips fast and can be easily lost. There are situations in which classical scrunchy is irreplaceable, but for everyday life better will be Invisibobble. If you care about natural, loose bun or ponytail without tight tie, then Invisibobble is the most comfortable solution. It is not very expensive, but it’s durable and of good quality, which are another benefits. How to make a spring make-up? Why your hair do not grow? Expert in the Women’s Beauty Copyright © 2019.